The Fanuc CNC wire cutting machine. RONSON Gears' reputation as one of Australia's most technologically advanced gear manufacturer has been strengthened further with the commissioning of a Fanuc CNC wire cutting machine. Increased outsourcing of wire cutting processes saw the need for their own machine. Predominantly used for cutting keyways in bigger gearing, it has also assisted them in cutting internal splines and shapes. 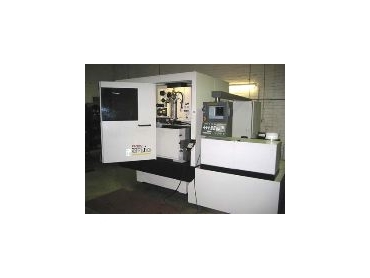 The Fanuc Robocut boasts high speed, high precision wire cutting, with a large work area. It has enabled Ronson to perform more productively by bringing the wire cutting in-house. The cutting machine has given them better control of processes and has also been able to give them the opportunity to give its customers firmer lead times.